You’d be forgiven for thinking that Matthew Acciarito’s resume is that of an established lawyer. With stints running his own fruit and vegetable business and volunteering at pro-bono management consultancy the Global Consulting Group, the final-year JD student has built up a wealth of industry experience. “Right from the start of my studies I knew that gaining a wide variety of experience would be just as important as getting good marks,” he says. 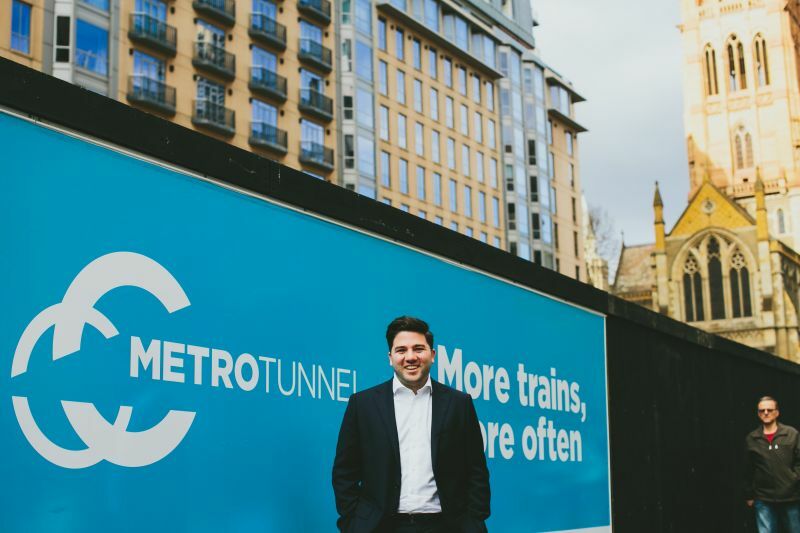 In his final summer break before completing the JD, Matthew sought to further diversify his legal skills with an internship in the Metro Tunnel Project’s commercial and legal team. “It was truly a valuable experience to be able to intern on Victoria’s biggest infrastructure project,” Matthew says. Matthew says that the insights gained throughout his experience have complemented his studies and provided him with skills that will carry forward into his career as a lawyer. “As an intern, I was able to attend meetings, draft policy documents and complete a range of challenging research tasks,” he says.